One of Britain’s leading garden retailers has taken steps to reassure customers that its seed potatoes are safe to handle. 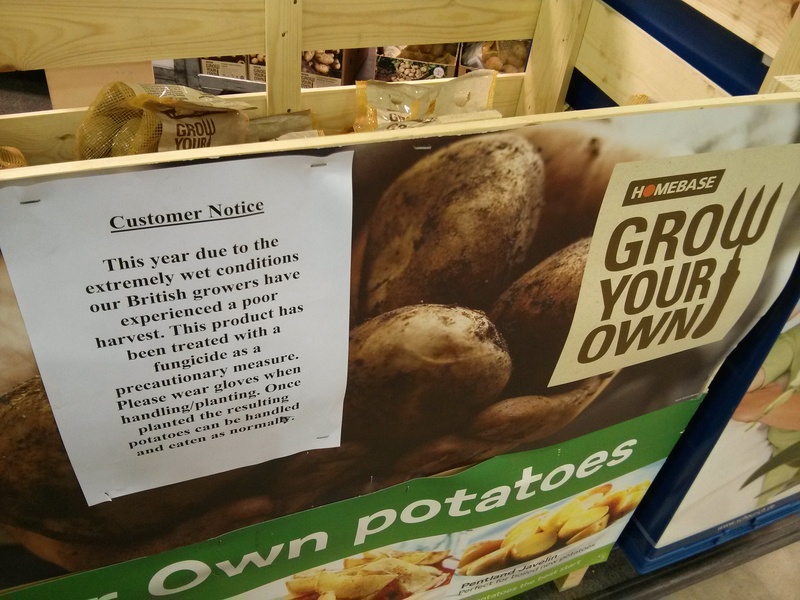 Shoppers at Homebase were confronted by signs warning that seed spuds have been treated with chemicals. Signs urged gardeners to wear gloves while planting, due to tubers having been treated with fungicide. A Homebase spokesman said: “The poor weather this year has had an effect on some of the British seed potato harvest. Homebase said this was “not usual practice” and added: “It was undertaken to maintain the quality of potatoes given the weather situation. “Homebase takes seriously customer health and issued the warning after recommendations from the Health and Safety Executive. “We encourage gardeners to wear gloves when handling sprayed potatoes. This is clearly marked on packaging of affected varieties. Thompson & Morgan, which sells around 70 varieties of seed potatoes, said only four had been treated with fungicide: ‘Cara,’ ‘Swift,’ ‘Orla’ and ‘Picasso’. T&M veg product manager Colin Randel said: “It has been the worst growing and harvest season ever. “Lots of potatoes are still in the ground. A few have been treated with fungicide but this is more than I’d want. “We try to sell untreated tubers where possible. 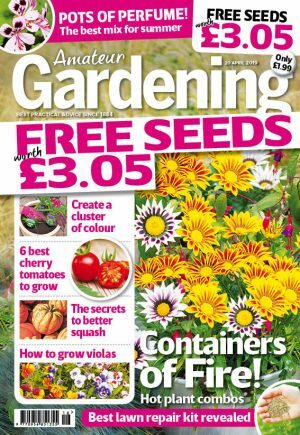 Treated packets are clearly labelled and it is advisable if gardeners use gloves and wash their hands after handling,” Colin added. Suttons’ Peter Morton said the company’s seed potatoes had not been treated with fungicide. Garden Organic advised green gardeners to seek organic supplies of tubers and to check them carefully for disease.